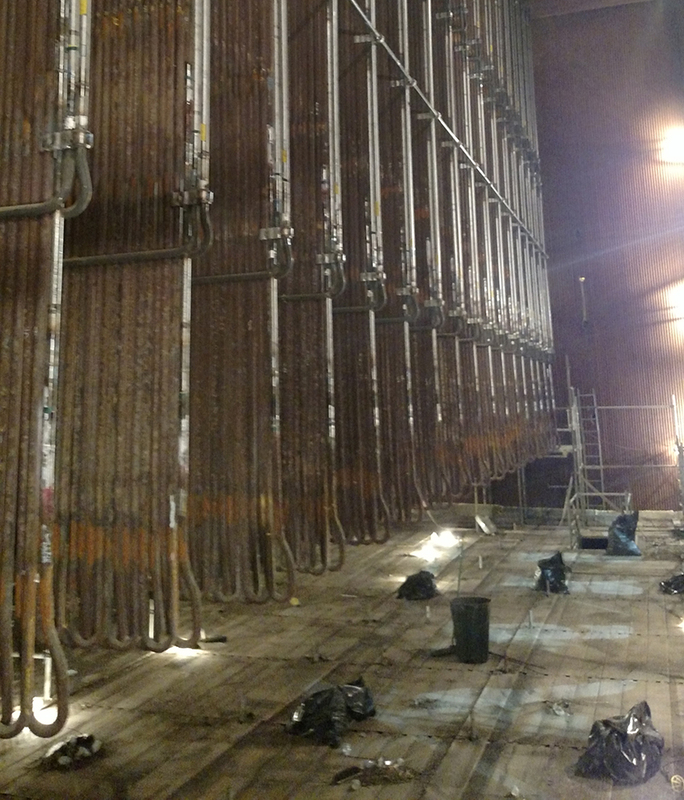 Scope: Customer’s project consisted of removing and relocating existing SA-213, T91 wrapper tube circuits. For our portion of this scope we partnered with Local 363 Boilermakers and Team Industrial to perform a large number of dissimilar metal welds adding T91 ends to the new SA-213, T/P 310 HCbN tube bends. This allowed Prairie State to utilize the newly approved Alternative Welding Method 6 during the install of the new circuits. This provided outage cost savings and duration per weld by not having to perform Post Weld Heat Treatment in the field. This savings allowed the customer to perform more boiler maintenance during the outage and stay within the allotted system budget. Subcontractor(s): Team Industrial – Heat treatment (preheat) and NDT via Phase Array Ultrasound.